Making the changes needing to be made! Purpose: Godly marriages and families don’t come by accident! Couples need to learn WHAT kind of marriage they are seeking and HOW to form priorities to gain those godly families. 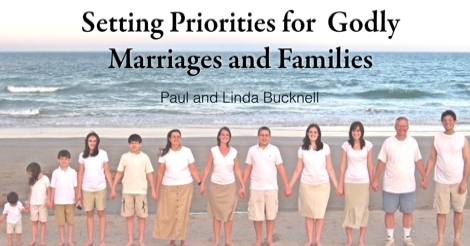 Introduction (#1/9) to Setting Priorities for Godly Marriages. What kind of marriage and family do you want? We often totally neglect to clearly think of what kind of marriage we really want. Perhaps before we were married, we would dream about such things, but after getting married couples fall into busy routines. Marriage, however, is a crucial and foundational aspect of our lives. A good marriage demands prioritization. This article shares two important aspects of securing those priorities: (1) What priorities are needed to have a good marriage and (2) how to order those priorities to form godly marriages and families. It is easy to superficially think about this question. How can I get my spouse to do what I want? From the outright, we must see that this selfish thinking and questioning process brings our marriages down into the gutter. Reject that! A marriage that ends up having three big fights a week? A marriage where you always win in an argument but lose in relationship? A marriage where you avoid seeing your spouse so you have less problems? Do you see where these questions are taking us to? This is where marriages tend to default to, even Christian ones. Without following a set of godly priorities, we default to having a poor marriage. 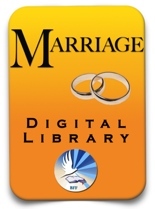 You can order the Building a Great Marriage printed seminar materials including handouts at the BFF Resource Center.Or even better get the BFF Marriage Digital Library which includes all all our marriage articles including powerpoints, audios and videos.